This April, Genting Highlands is set to be the gathering place for several artistes from Malaysia, Taiwan and China, who will be performing at the upcoming “Mandarin Pop Concert 2019”. 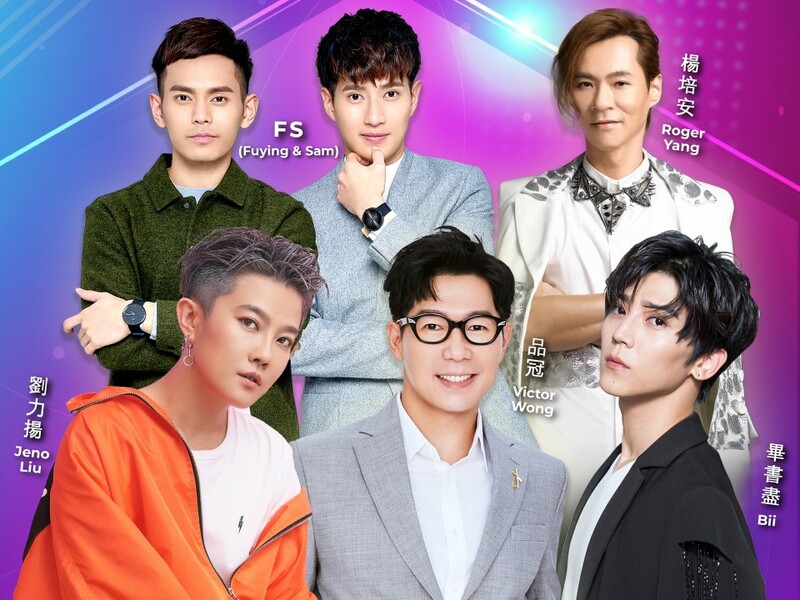 Malaysian pop duo FS (Fuying & Sam), Taiwan-based Malaysian singer-songwriter Victor Wong, Korean-born Taiwanese singer Bii, Taiwanese rock singer Roger Yang Pei-An and Chinese singer Jeno Liu Liyang are all ready to belt out their hit songs for their Malaysian fans. From 10am on 28 January 2019, tickets for the concert can be purchased at www.macpiepro.com. Tickets are priced at RM588 (VIP zone), RM488 (PS1 zone), RM388 (PS2 zone), RM288 (PS3 zone) and RM188 (PS4 zone). Of course, there are ways to get discounts for the tickets. Fans just have to subscribe to Mcalls HITS Plan online or offline at 10am starting from 25 to 27 January 2019. Then they can purchase 2 tickets at 35% off and another 2 tickets at 10% off (only for VIP or PS1 zone concert tickets). Seating plan for “Mandarin Pop Concert 2019”. Fans will be treated to quite a lineup since these artistes all prove to be talented singers. Since their debut in 2012, FS had done various shows including their solo concert in their home country and won numerous awards. Victor Wong, meanwhile, has released 11 albums in his 25 years in the music industry and participated on various singing shows such as “I Am a Singer”, “Mask Singer” and “Talented Singer”. Bii, who can play various musical instruments, previously held two solo concerts in Malaysia, singing songs off the then four albums (he now has five) he’s released since his 2010 debut. 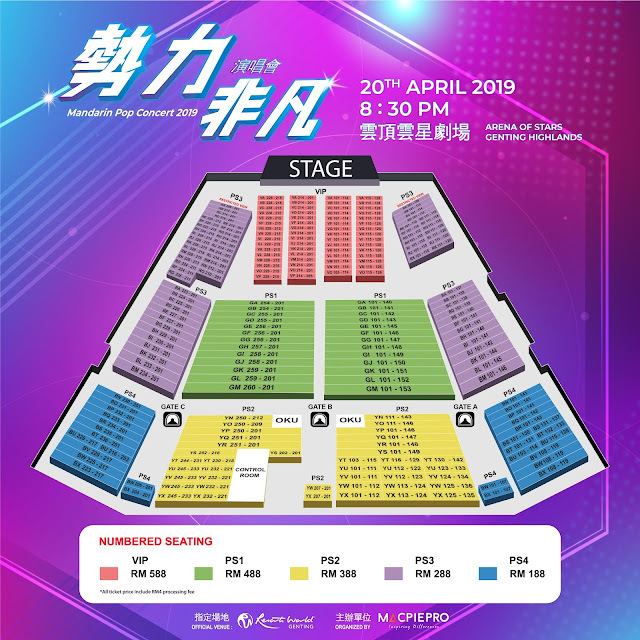 Roger Yang, the “Treble God” or “Iron Lung Prince”, will have no problem getting his fans to rock out with him while Jeno Liu will get everybody moving once she showcases her DJ-ing skills and starts spinning some tracks.